If you happen to be in Ulan Bator, then don’t forget to go to the Zaisan Monument, and monument place on a very big hill, south of the city. 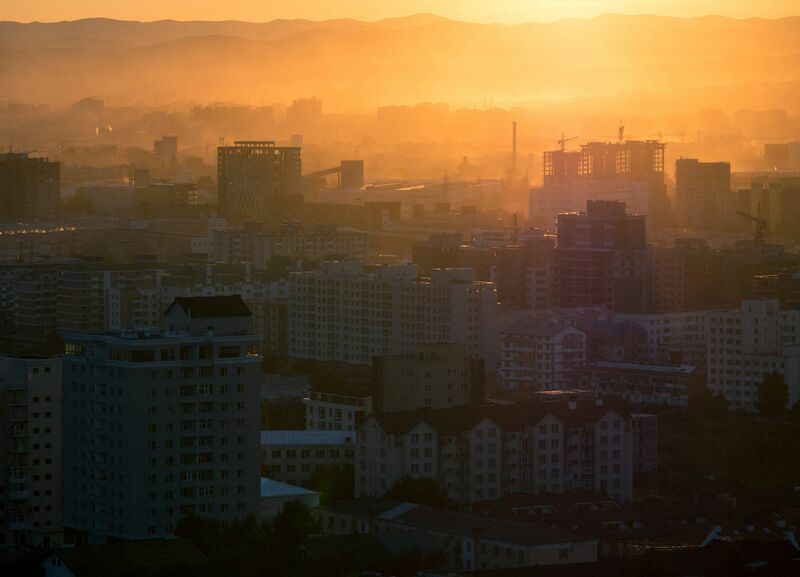 Here you get the most awesome view of Ulan Bator, especially at sunset. Sun setting behind Ulaanbaatar by Bo47 is licensed under a Creative Commons Attribution-NonCommercial-NoDerivatives 4.0 International License.